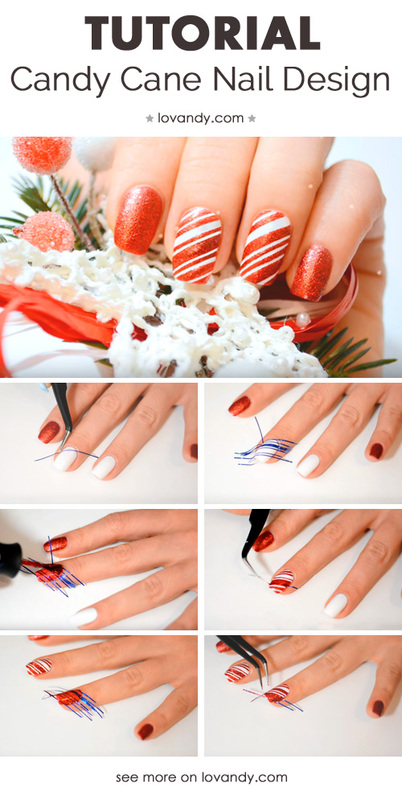 Today we will learn about making a candy cane manicure, using tape. This technique is somewhat easy, and the result is really awesome. 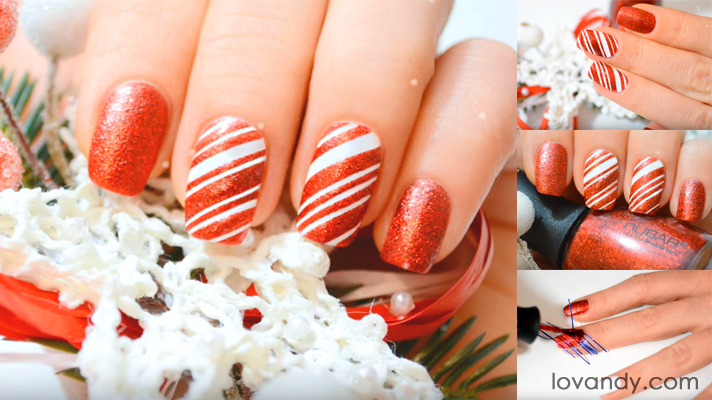 This one will not take a lot of time and stuff, but your nails will look fabulous! In addition, before we start, notice that you may pick any other colors for this manicure. 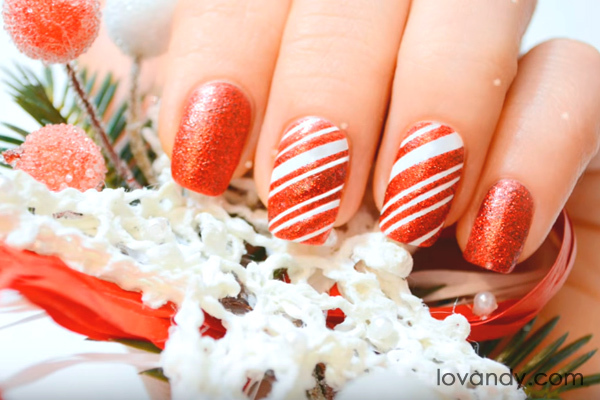 We have chosen red plus white, as these are the most common Christmas candy colors. However, make sure you choose the ones that you like best. So, at first, cover your nails with a base coat. Then paint some of them with a white polish (these will be stripped) and others with a red one. Remember to paint your nails right after you have covered them with the coat, but always wait until it dries. 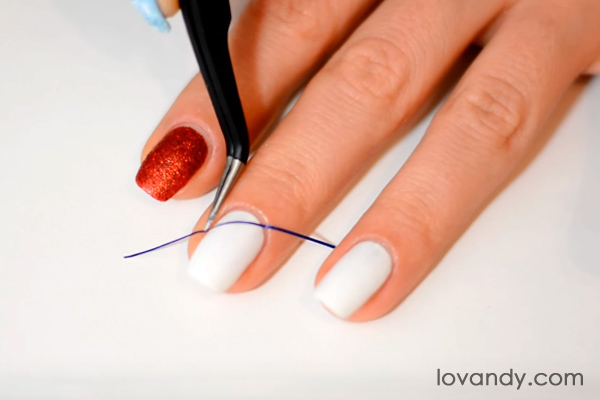 Put your nail tapes on the white nail, using tweezers. 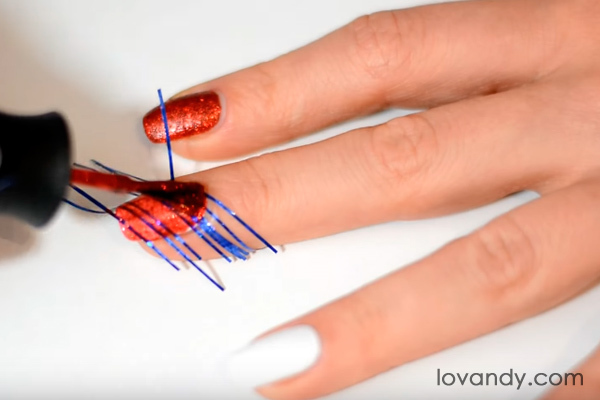 If you face some difficulties on this step, do not hesitate to check our stripped nails tutorial. Also, it is not hard after you get used to it. 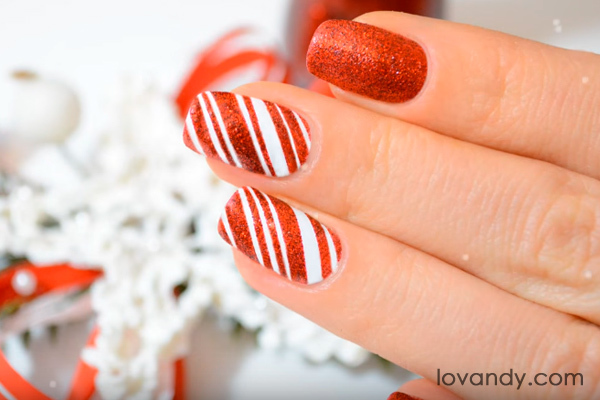 For this candy cane manicure, you will need to place your strips on different distances. To achieve the best result, place some of them one next to the other, like we do it on the photo. This way the picture will look most realistic (we are trying to make it ‘tasty’, remember?). 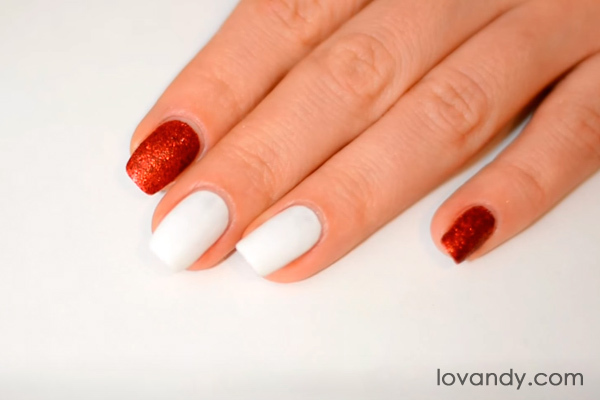 Now put your red polish on the nail in two layers. Then wait for 10 seconds, and strips may be removed. If you see any defects or irregularities, use a flat brush and acetone to correct it. Do not get upset if you cannot do it from the first time. Some practice will help, and you will see that this is actually easy. 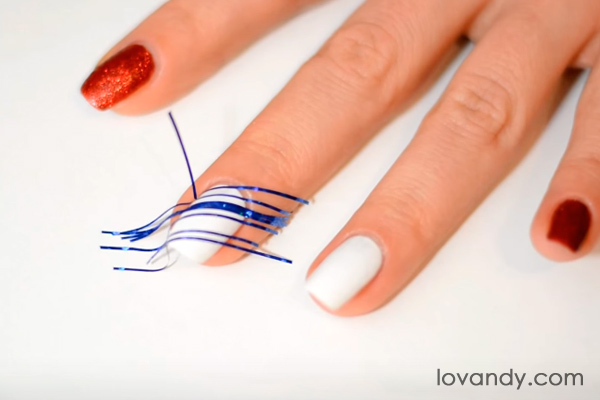 Repeat the same steps with the rest of your nails. Try different variants of placing the strips to get various pictures. If you want your manicure to stay long enough, cover all of your nails with a top coat (glossy or matte one). Now we are done! 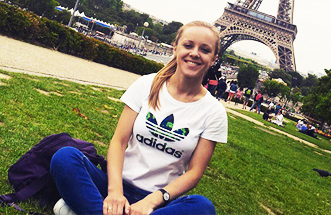 You can see that the result is totally amazing. Once again, if facing any difficulties, try again and read our previous tutorials. 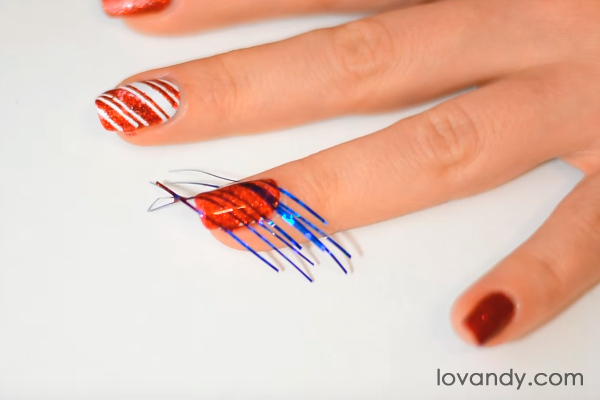 There is one thing that is the coolest about this manicure – you have done it yourself. No matter how much time you have spent to make it. Your own work always looks more soulful and sincere than any professional does. 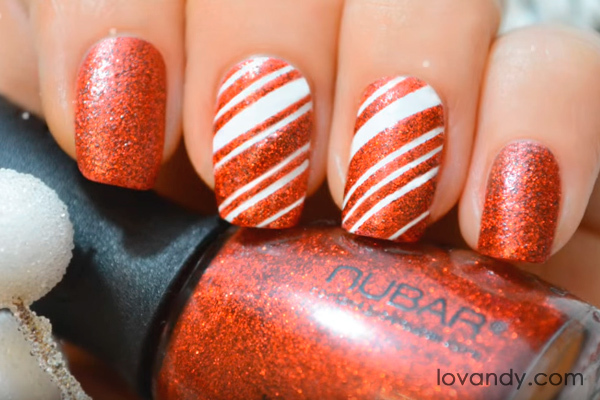 Such beautiful and simple candy nails design is a nice complement to any attire. Using and combining different colors, you can make it fit to all of your clothes. Moreover, various structures might change the whole look of this manicure to a brand new one. Experiment to find out how you like it most… and tell us if you invent some cool new designs.